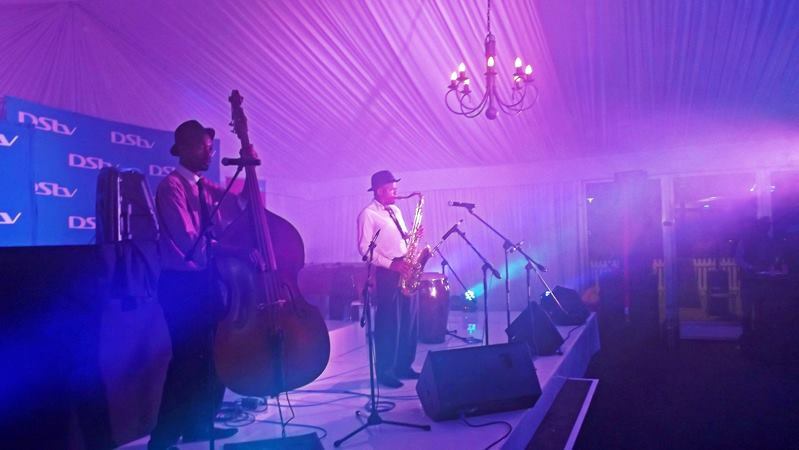 AV Direct provide a number of solutions for artists and live performances. We cater for any tech rider and put your professional performer at ease with some great sound equipment. 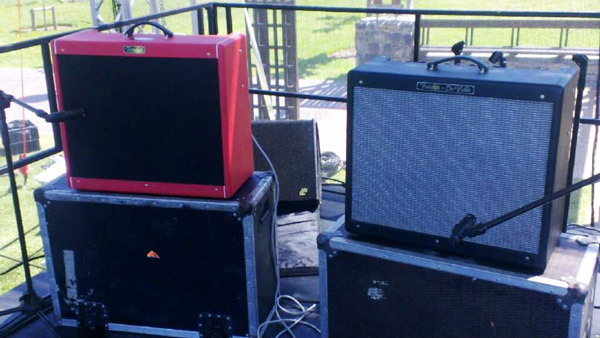 Let’s take you through some steps to remember when hiring band sound equipment. Firstly, it’s important to inspect the venue where you’ll be performing. If it’s a club or venue that often has performing acts, then you can save money by using their PA system. They will usually have their own engineer and all you need to do is bring instruments and amps, and you’re all set to go. 1 x Rhythm Guitar – requires amplifier or uses DI Box and plugs acoustic electric guitar straight through the PA System. 1 x Bass Guitar – Requires amp on stage with balanced DI out which plays through the PA System and through the amplifier. Amps range from, Trace Elliot, Ashdown, Ampeg, Gallien-Krueger, Fender and Hartke. 1 x Keyboard player – Keys can be setup through a stereo DI box like the one from Radial. 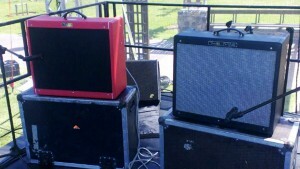 Amps are also used, ranging from Hartke, Peavey K series and Traynor. 1 x Drummer – Noisy drummers are very protective of their equipment. They usually carry their own cymbals, hardware stands and snare. 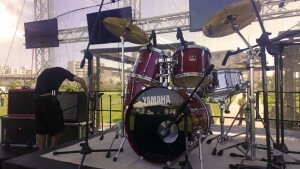 Drum kits provided range from Tama, Pearl or Yamaha. We have the Yamaha Stage Custom 7-piece kit available for hire. Lead vocals and back-up singers will often make use of our Shure SM58 and Beta58 mics. The SM58 capsule is world-renowned and is available as a wireless unit too. Once all the guitars, amps and keys are setup on stage. The lines will be run into an analog or digital mixer which then distributes the signal to the graphic EQ, then the amplifiers, to the speaker system. We provide a large number of analog and digital mixers from Yamaha LS9, M7, Soundcraft and Allen & Heath desks. Then the outboard gear section consists of graphic equalizers, compressors, effects units and other signal processing units. Mostly DBX and Lexicon units are available. So you’ll need to hear yourself on stage and this is done with a monitor send from the main mixer. Some larger shows have monitors systems right next to the artists, with a separate monitor engineer that gets the sound great for the artists. For most smaller shows, monitor mixes will be sent from the main mixer to the on stage wedges (monitor speakers) or In-Ear Monitoring systems. The main PA system will then be checked and this will vary largely according to your venue, whether its indoor or outdoor and related to the size of the audience. When all the gear is setup and sound is tested, it will be up to the engineer to do a decent mix of your band’s songs. Your performance will certainly help! Remember to always sing whole-heartedly to get the best response in your microphone. When playing guitars, depending on your style, try to use a plectrum or pick as this gives a more consistent sound throughout your performance. The sound engineer will add some effects to your mix, usually just enough reverb on vocals and compression and EQ on drums and bass is good. Never have to much effects going on, unless you’re a progressive rock band from the 60’s, too much reverb and echo will cause you to have a muddy or untidy sound overall. A good thing to remember when equalizing is this “cutting is better than boosting!” You heard it from me okay! So by now you have got the idea of what’s needed for your setup. When things are going well and you’re a platinum selling artist, do come and chat to me on the best equipment to purchase for your band!